Mother brought her 18 month old daughter to my office for chronic bilateral ear infections which started when she was 12 months old. Mother stated that in the past 6 months her daughter had 4 ear infections. Sometimes in the right ear, sometimes in the left ear and sometimes in both ears. She had developed fluid in her middle ears. She had been placed on a regimen of antibiotics for 7 to 14 days each time and this was the third and different antibiotic that was administered. She was told that the next step for her daughter was ear tubes called Tympanostomy tubes, Myringotomy tubes, ventilation tubes or PE pressure equalization tubes. Now as a Chiropractor I didn’t think that this was the best idea for the child. First of all your trying to prevent infection, and with tubes the inner ear would be exposed where it would normally be protected by the ear drum or Tympanic membrane. Mother did not want her 18 month old daughter to undergo surgery. After examining the child not only did she have fluid in her middle ear but she was not talking much. Mom stated that her daughter didn’t speak much and when she did it was difficult to understand. My Chiropractic examination revealed that her first vertebrae was out of alignment. I explained to mother that when vertebrae are out of alignment it causes pressure on the nerve root and that interferes with the area controlled by these nerve roots to not be able to function normally. After 3 weeks of Chiropractic care her ear infections and middle ear fluid became a thing of the past. ( No Surgery Needed ). I used very gentle adjustment techniques and the little child was never uncomfortable or felt any pain. Patient A.M. suffered from severe migraine headaches everyday for the past three and a half years. The headaches were debilitating, and being a single mom with a young child, life was very difficult. MRI exam of her brain was negative and dark rooms and silence and prescribed drugs became a part of her life. On her first visit to the office she stated that she takes 300mgs of Topamax and 75mgs of Nortriptilene daily. 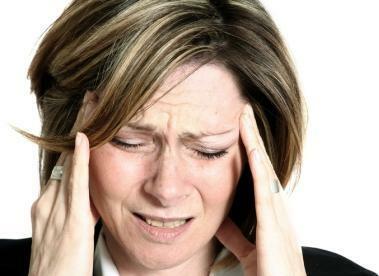 I examined the patient Chiropractically to find if there was a cause of her headaches. Examination revealed two cervical vertebrae out of the normal alignment. These segments were very painful to touch. Chiropractic care was started and after 5 adjustments the patient said that this was the first time in three and a half years that she went two days without a headache. After 15 adjustments and 5 weeks later, her M.D. reduced her medication to 100mgs of Topomax and 25mgs of Nortriptilene. I feel confident that she will be off all medication in a short time. As a Chiropractor, what makes my profession so unique is that I don’t treat the symptoms but I look to find a cause of the symptoms, then remove the cause, and then step back and watch the awesomeness within the patient heal themselves. Mother brought her 6 year old daughter to the office in August 2010 because she has suffered from ear infections on and off for the past two years. She did not have an ear infection at the time of her first visit, but the child sounded nasal and said that her ears always felt clogged. Examination of the child revealed a subluxation complex existed in the child’s upper neck or cervical spine. Mother stated that when the child has an ear infection she brings her to the pediatrician who examines her and prescribes antibiotics. The infections can last a few weeks and sometimes the antibiotic is changed for another antibiotic because the first was not effective. The child took approximately 15 Chiropractic adjustments in 4 months about 1 per week. In Mid December she started again with ear pain. Mom took her to the pediatrician who looked in her ears and determined that she had another infection. Mom brought the child to my office on the way home from the pediatrician and I examined her and felt that the child needed an adjustment and it was performed. She went home took the antibiotics and she returned to the office on Monday. On Monday the mother stated that the child felt much better and that she had never recovered from an ear infection this quickly. Chiropractic enables the body to work better and together Chiropractic and Medicine greatly reduced the time of recovery.